Enjoy the low resonant tones of bamboo tubes gently rustling together creating a breezy island symphony that relieves stress and soothes the soul. 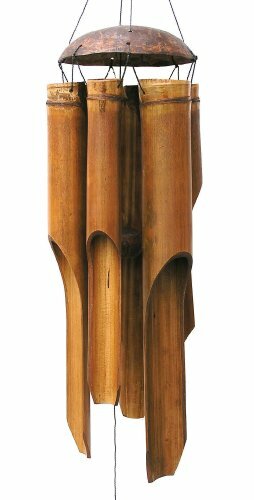 Our 22-inch coconut top simple wind chime has 6 hand tuned bamboo tubes. Each tube is stained a rich natural brown. Add the quiet calming sounds of nature to your favorite outdoor retreat today.